The dangerous mosquito-borne Zika virus is on the rise in several countries. The Onion offers tips for protecting yourself from this growing threat. 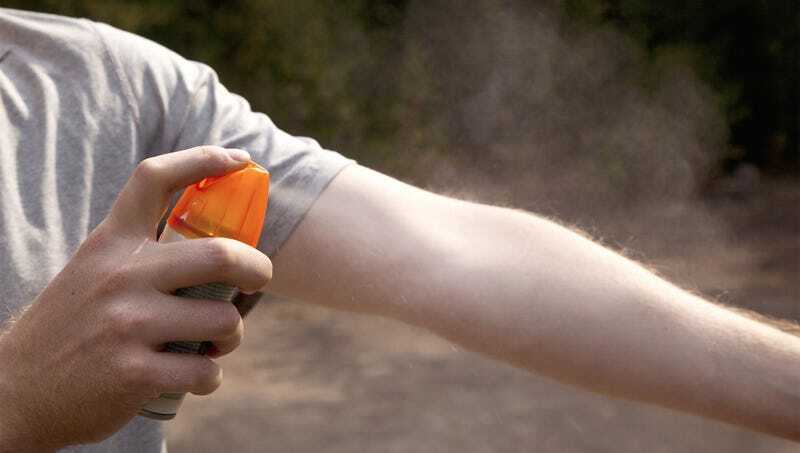 Protect your unborn infant by regularly spraying insect repellent into the womb. Remove any sources of standing water from your property, which are the number-one place for mosquitoes to gather and strategize how to spread the virus. If approached by a mosquito, avoid direct eye contact, make deep, guttural noises, and wave your arms to make yourself appear as large as possible while slowly backing away. Tuck your pants into your socks, but only if enough other people are doing it. Check the CDC’s website for up-to-date information on which of their travel advisory warnings you’ve already violated. If you do find yourself feeling ill after being bitten by a mosquito, don’t panic. You could just be feeling the effects of West Nile virus or malaria. Inform any pregnant loved ones of the risks associated with Zika and suggest that they delay their delivery until the current outbreak has been contained. If you believe you have contracted the Zika virus, take action by contacting CNN immediately.